There is not much to update on the veggie front so I thought I would share some photos of the plants under the grow light. Since setting up the light again in Janurary I have cut things back a bit and spread every thing out. They have responded well and have some fresh growth. With the fresh growth some aphids showed up on one of the geraniums. These little creatures are nothing to really worry about but they should be taken care of before they reproduce to much. I am not sure where these came from, maybe some dormant eggs from last fall. Either way, being that geraniums respond well to being pruned I just sniped the top of the plant off outside and put it back under the light. I will now have to watch for them and spray accordingly with soap and water. I am very happy to see that one of the dwarf variegated bougainvillea cuttings has taken root. I have tried to take cuttings from the mother plant a few times without much success. I have had this boug for a few years now and it grows to a nice bush form about 2-3 feet high with vibrant fuschia coloured flowers or in this case I should call them bracts. Not much growth on the lemon although I think is has grown slightly. I hope once I get it outside in April/May it will grow large enough to make something with it, even if it is one glass of lemonade. Being that today was a whopping 6c(42f) I headed out into the sunny backyard to poke around. There was many signs of life although you have to get pretty close up which is very evident by my muddy knee's and elbow's. 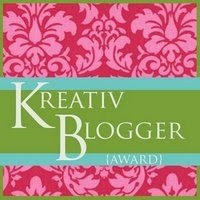 Rosemary gave me the Kreativ Blogger Award a few days ago and well I was on her blog thanking her I came cross this recipe for rice pudding. I thought it sounded very good so I gave it a try. The recipe can be found at the following link. I topped it a couple different ways, the first being whipped cream and the second being sliced almonds & honey. I think I am rather partial to the almonds & honey, it adds a nice crunch and sweetness. This is an excellent recipe! I was looking for a crock pot recipe for brisket and came across this recipe. It was incredibly good, easy to make and best of all cheap to make. The recipe can be found on Rancho Gordo's Blog at the following link. I started it in the crock pot in the morning and it was ready by diner time. I sliced the meat, added it to steamed taco's with romaine lettuce, hot sauce and sour cream. Served along side rice & black eyed peas, yum! This recipe will definitely be made again. The hot peppers are just starting to pop up tonight. It seems all the seeds sprout at night, has anyone else experienced this? Being that it is still winter there is not much new to update on outdoor veggie gardening. We have had a few days of warm weather that has melted all the snow we had on the ground. It may however not seem like it as by the time I got around to taking a photo it had snowed again... unfortunately! The beets have survived under the snow. They should make for a few nice salads once they start actively growing again. Maybe even some baby beets if they plump up before they make way for something else. My fall broccoli that I left in is flat on the ground. I thought at first they made it through the winter but after a few warmer days they started to discolour and can now be smelted at the other end of the garden. They will be introduced to the compost soon. The garlic is still growing ever so slightly. They can sure take some harsh weather. You may notice an empty spot in the middle, it seems that about 5 of the cloves did not sprout. Being that I am a rather fussy gardener, it bothers me not to have perfect rows. So in order to try and fill in the empty spots I am going to try growing some more garlic. I planted up seven cloves in 4" pots and placed them in the cold frame. Hopefully they will root and sprout by spring so I can fill in the spots. Well planting up the garlic I just had to photograph the basal plate. Doesn't garlic have a beautiful basal plate? One the book front I am reading "Heirloom Vegetable Gardening" by William Woys Weaver. It is quite a coveted, out of print book that I borrowed from the library on an interlibrary loan. It is 439 pages of heirloom veggie goodness that I will be consumed with for a few days. Although not very veggie related, I have had some icicle troubles, self inflicted really. You see, after I covered up my cold frame I thought I would whack the icicles down before they got to heavy and possibly take down the eve trough. I whacked them down so good it smashed off the dryer vent. I have replaced it with a new 4" rigid pipe indoors & a new hood outdoors a couple days ago, thankfully before any birds moved into the house. You might say it looks less siliconed? Speaking of silicon, if the weather ever warms up I will be able to neatly seal the new vent with clear silicon and spray foam on the inside. I think next winter I will have to clear the icicles well they are small to avoid repeating this problem, live and learn right. I checked the propagator this morning and was pleasantly surprised to see three tomatoes had germinated already. I planted these in the evening on Feb 16th and they had germinated by the morning of Feb 20th. If my math is correct, it only took approx. 96hrs, can't complain about that. This morning the propagator was at 28c(82.5f) and I am guessing about 100% humidity. I think the key to getting these warm season crops germinating fast is warm temps & high humidity. This must be why many gardeners have good luck with the zip lock bag method of germinating. Well I had the camera I took a photo of the yellow onions & shallots, they are doing pretty well. They are however a little floppy even after my trimming. I think this is caused by lack of water, onions like even moisture and I have not been very good at providing this condition. Last night I put them in the laundry sink and filled it with water until it was just below the rim of the pot. I then let them soak for about 15 minutes and then let them drain well. They are much more perky this morning, now that the soil is good and saturated I will have to make sure to not let them dry out again. Tomorrow I will do an update on the outdoor veggie garden. The photo above is a picture of a log suet feeder that was at the cabin we stayed at over the Holiday Season. I thought I should make a couple of them so I headed out to find some logs. I checked the shed and I had two tools to pick from, an axe and a chainsaw. Being that the hospital was 2 hours away I choose the axe. I headed out into the woods and chopped up a fallen cedar lumberjack style and then found a spruce log that was already cut up. Once I returned home I decided to build a fancy one to hang outside the living room window and two like in the photo to hang in the back trees. Here is how I went about it. Start by cutting your log to the size needed, I made mine about 18" long. If you don't have access to logs you could use a cedar 4x4 or visit a farm store and they should carry round fence posts. Once your log is cut to size, mark a center line down the middle and cut a 30 degree angle on each side to form the roof pitch. Now cut the 1x6 cedar to form your roof. Start with one side, cut the end to 30 degree's and then cut its length to 8" inches or which ever looks good with your log size. For the second piece I cut it to 30 degree's and then left it a little longer. Now check that your miter cuts line up and if not you have some extra length to adjust things. Once everything lines up nicely cut the other side to length. With both roof pieces cut to length apply glue and finish nail them in place. Pre-drill the center of the roof and add your hanging hardware. I used two hanging methods, one from a hook and one from rope. I will explain the hanging further at the base of this post. With the roof and hanging hardware complete you can start drilling the holes to hold the suet. You can accomplish this with a forstner bit or a paddle bit that is 1 1/2 inches. If you are using a thinner log you can drill right through to the other side or if you are using a thicker log you can just drill in a few inches. Space the holes about 6 inches apart. Now cut the doweling into 3 inch lengths and then pre-drill holes a little smaller then the doweling and about 1/2" below the suet hole. Add some glue to the hole and press or hammer the doweling in. To hang the feeder from a bird feeder stand or hook I used an eye hook combined with an over sized key ring. All the hardware can be found in the hardware section of your local home center. This feeder is located outside of the living room window, I have noticed it gets much less attention then the ones located in the trees. This hanging method if for hanging the feeder right in the trees were most of the suet feeding birds are. This method seems to be the best at attracting woodpeckers & nuthatches. For this method I used nylon rope, a wire rope thimble, two wire rope clips & a long hook screwed into the top of the log. Again all this can be found in the hardware section of your local home center. First thing to do is form a loop with your rope and tie a knot to hold it in place. Then use your wire rope clips for weights. Now find a branch that is over a suitable hanging location. It is best to choose a secondary branch to avoid the rope damaging a main branch over time. Once you have found the perfect branch throw the rope over the branch. With the loop now over the branch and in front of you, remove the weights and thread the other end of the rope through the loop. Now pull the end of the rope, cinching the loop around the tree branch. Now install the wire rope thimble & two wire rope clips placing them within reach for hanging the feeder. When the hardware is in place, cut the excess rope and burn off the end to stop fraying. All that is left to do now is fill the feeder with suet, the suet can be homemade or purchased from the store. Heat the suet until it is just pliable and simple pack it into the holes. Hang the feeder and then just sit back and watch our feather friends munch away. "No-Damp" to stop damping off, used when first seeded and sometimes for a second application as a preventative measure. Well on the subject of seed starting, I have seeded a few things already. I was reading I Wet My Plants blog and she was writing about starting hot peppers indoors 4-6 weeks before you start your tomatoes because they have slow germination & growth. It sounds like a great idea to me so I have started my hot peppers except the ones that are still in the mail from Pinetree, they will be started as soon as they arrive. I have also started my early producing tomato, Siletz 52 days. In reading Garden Desk, he starts some tomatoes on Valentines day in order to have an early harvest of tomatoes, last year the first tomato was June 5th. This intrigues me so I am going to give it a try, it would be awesome to have ripe tomatoes during the first week of June. I have lots of light intensity so I am presuming it should work out well. Last I have tried some winter sowing. I have not read a thing about winter sowing so I am not sure if I am late or early but I am trying anyway. I planted Baby Leaf Blend Lettuce, Romaine & Scallions in cell packs and have placed them in my cold frame. If all goes well they should germinate when conditions allow, I will then break them up and plant them out in the cold frame or a poly tunnel. *my next post will be on "Building & Hanging a Log Suet Feeder", it is just the thing to attract wood peckers, nuthatches & chickadees to name a few to your yard or balcony. After posting that I was saving some tomato seeds I had a few comments saying I should do more posts on seed saving. After the suggestions I snapped a few photos of the process to share with everyone. center and squeeze/scoop the seeds into a bowl. a few hole for air. has occurred and it is time to clean & dry the seed. Don't be alarmed if mold is growing on the surface. this point should easily wash away. With the seeds all cleaned it is time to dry them. out of direct sunlight until they are fully dry. What to grow this year?